Alta at K Station is a new construction (2010), full-amenity rental apartment building in Fulton River District. Larger complex in Fulton River District with excellent amenities. 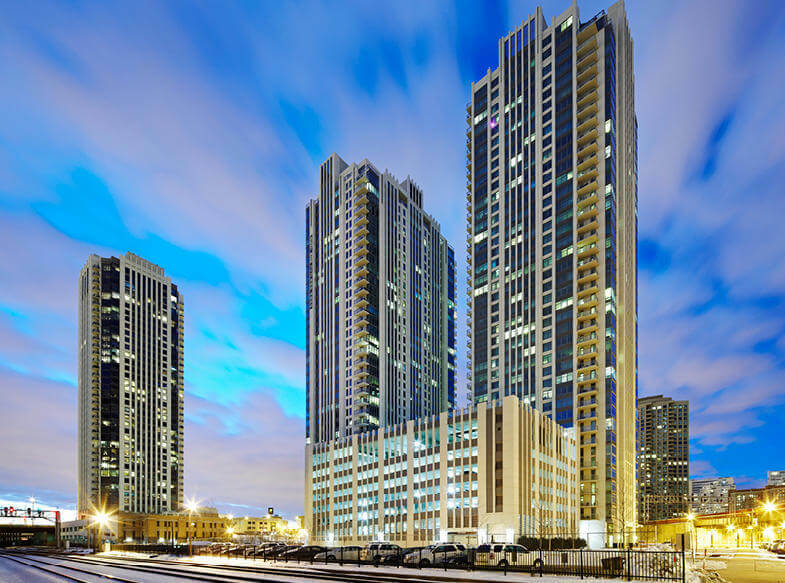 Extremely convenient location for the dining and nightlife in West Loop and River North. One of the best pools in Chicago. Smells like chocolate because of a nearby factory. Awesome pool/deck scene. Social/Friendly residents. Well maintained common areas and great amenities. Some residents feel that storage and parking are limited. Noise from nearby trains and construction. Easy overall, yet management is very unresponsive and doesn't seem to have a sense of urgency. The buildings amenities and location have been great. I've met a lot of nice and fun people playing in the onsite volleyball. Its location is good. A relatively short walk to the lake or a very quick Uber or taxi ride. Close location to plenty of CTA stops.